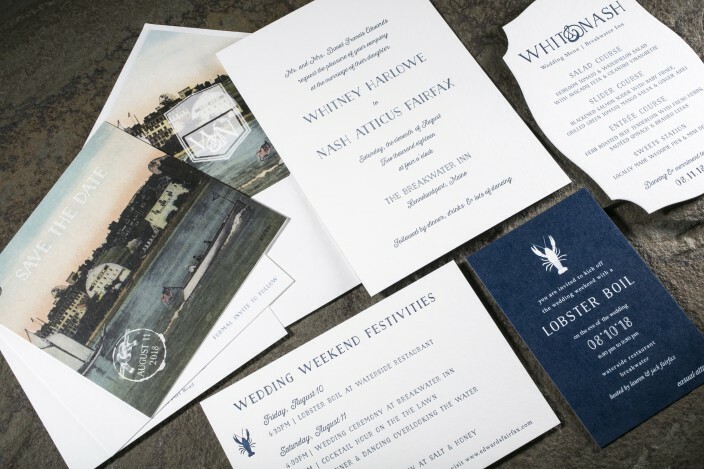 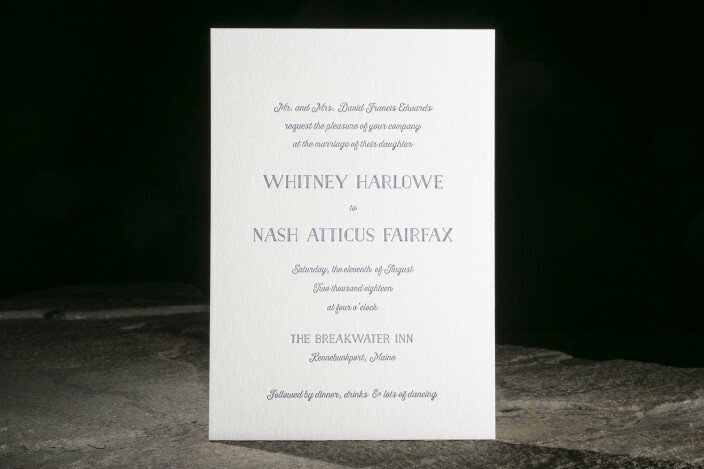 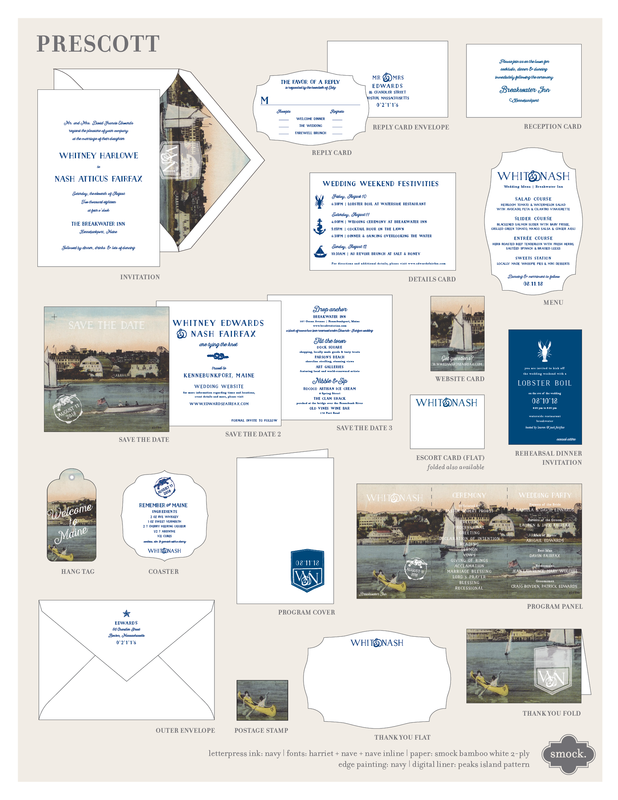 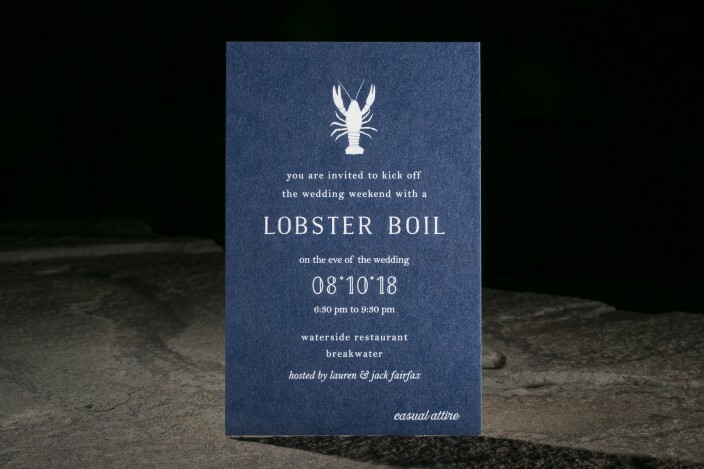 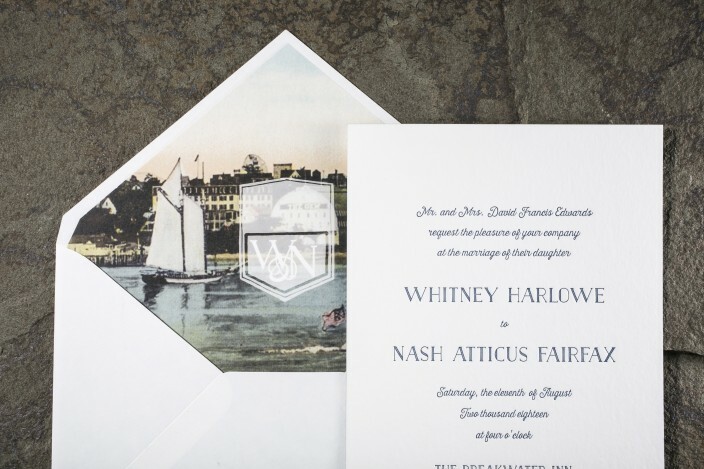 the prescott suite: navy letterpress wedding invitation. 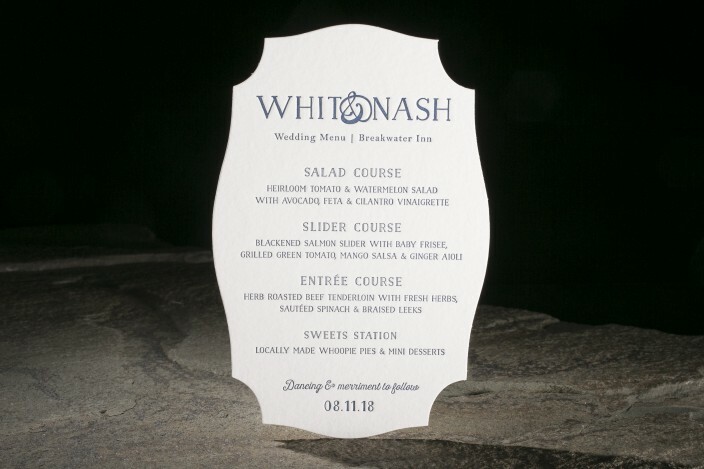 die cut menu. 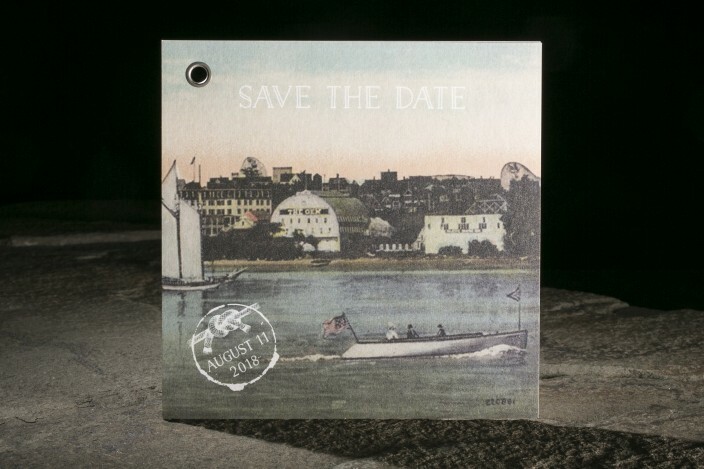 digital vintage images. 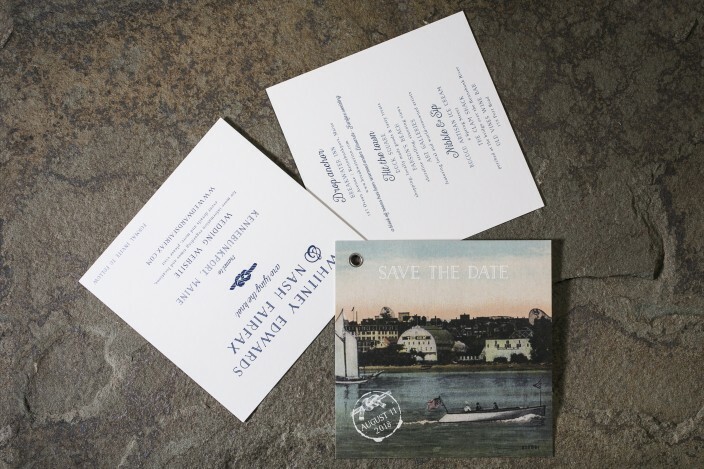 nautical charm.